Helping small businesses for over 15 Years! Webgator is a Dayton, Ohio small business that understands small business. When you call us, you speak to us, the same people who have been around since 2003! When you do business with us, we know your first name and we know your business. This is the number one reason most of our customers have been with us for over 10 years! Ever wonder what customer service from a local hosting company would be like? With very competitive plans, see what makes us different! We manage our own secured physical data center so your website is NOT in a cloud! 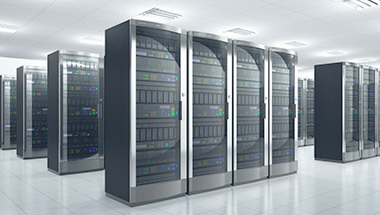 We only offer managed Windows servers, unless you have a special case or request. We make sure your data and server is running 99.995% of the time so that you never have to worry about mission critical applications or websites going down. We work with very niche service and retail businesses. We will help your company gain an edge over competition. With over 15 years experience we know what it takes to help increase your rankings and to soar over your competition. We have been developing websites and website applications for over a decade. We can custom develop simple static websites, to full blown data driven applications. We are sensitive to the new mobile friendly requirement for search engines, so all of our designs and applications are easily viewed on desktop and mobile devices. We are experts in computer security! All data is managed with the strictest standards and we employ high level encryption. We operate on a 99.995% up-time and maintain 3 Node fail over clusters. We provide personal support and we will help you solve any and every problem you face with your website and internet presence. GatorAID for your website means we offer a full range of services for your internet business from hosting, design to promotion and social media.